It’s the first stuff I see every morning when I open my eyes. 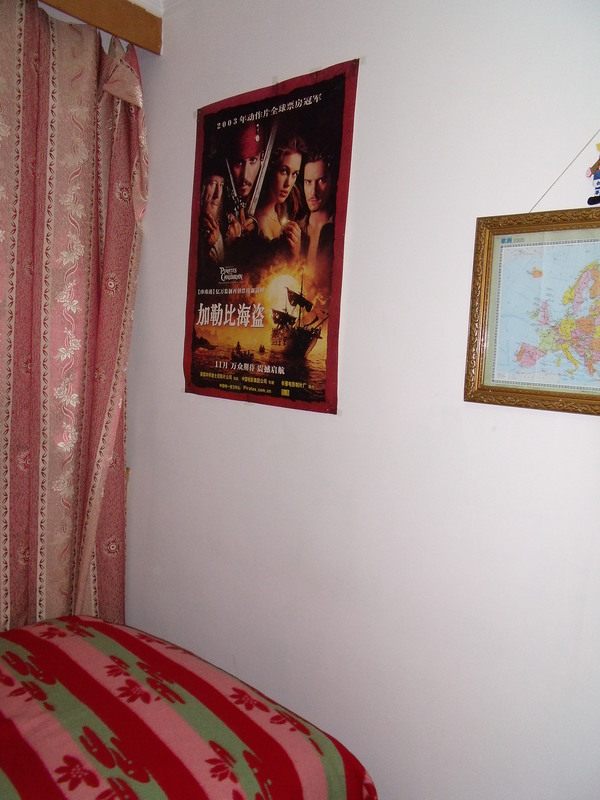 (the other side wall of my bedroom is “Alice in wonderland” mad hat), they are real posters using in a cinema. So good stuff for me. Well, once upon a time, I thought “At world’s end” was at the movie’s end. Look, Will and Elizabeth got marriage, finally, happy ending. Maybe no more new adventure, what a pity, just like no more skywalker. But today, he back, with his pirates crew, still sloppy, still be excited all the time. Start a new wonderful journey, on stranger tides . Yep, never let the cat out of the bag, never…… 😛 ok, maybe a little, the secret is there is a beautiful love story in it, wait a moment, maybe two, one beautiful, the other one not so beautiful, anyway, enjoy yourself.